Upgrade your server performance with this HPE DDR4 Smart Memory Kit. It is an enterprise-quality server memory that is perfect for boosting, replacing or upgrading your memory environment. It has 16GB Capacity that will surely handle workloads with ease. This HPE DDR4 Smart Memory Kit has a clock speed of 2666MHz to give your server an efficient system performance. This memory comes with a 288-pin Registered DIMM memory socket to offer a secure connection to your motherboard. It is an ECC Memory so it can detect and correct the most common kinds of internal data corruption. Additionally, it is compatible with HPE ProLiant BL460c Gen10, DL360 Gen10, DL380 Gen10, DL560 Gen10, XL230k Gen10; Synergy 480 Gen10, 660 Gen10 servers. 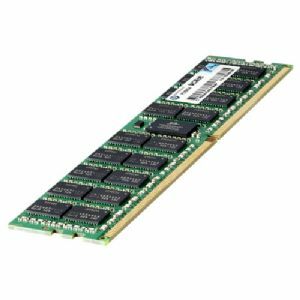 Buy HPE DDR4 Smart Memory Kit now!